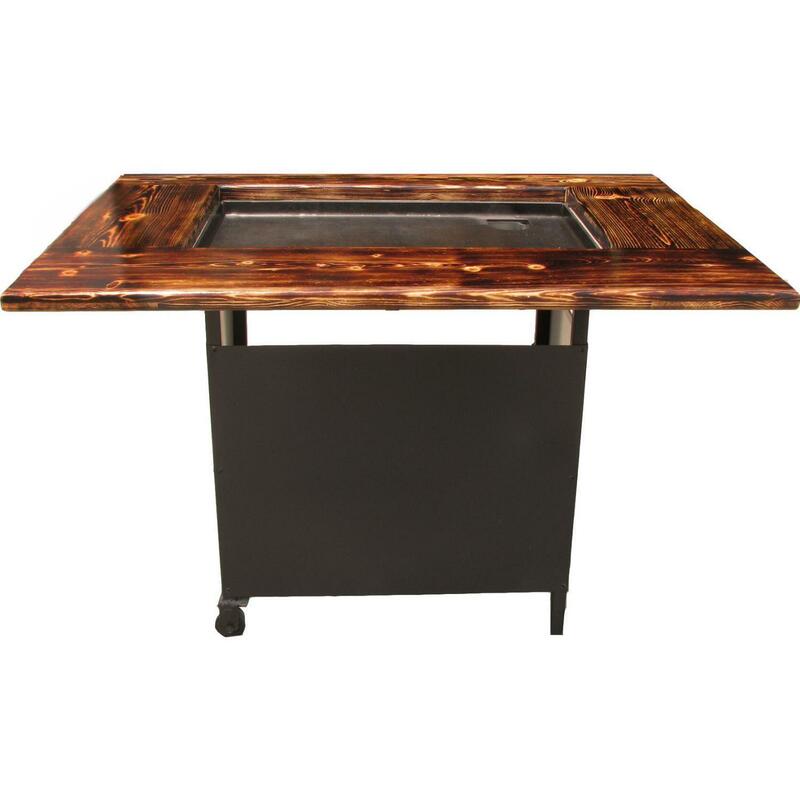 Product Description: Blackstone 36-Inch 4-Burner Propane Outdoor Griddle Cooking Station G1554. 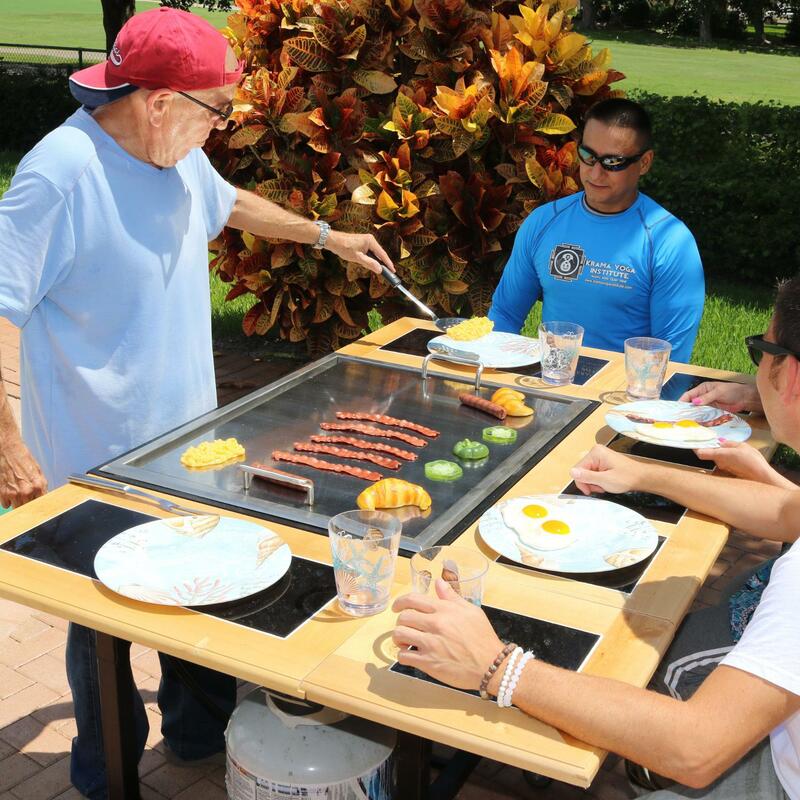 Cook everything from a hearty breakfast of eggs and bacon, to a soulful meal of Philly Cheese Steak sandwiches on this portable outdoor griddle. 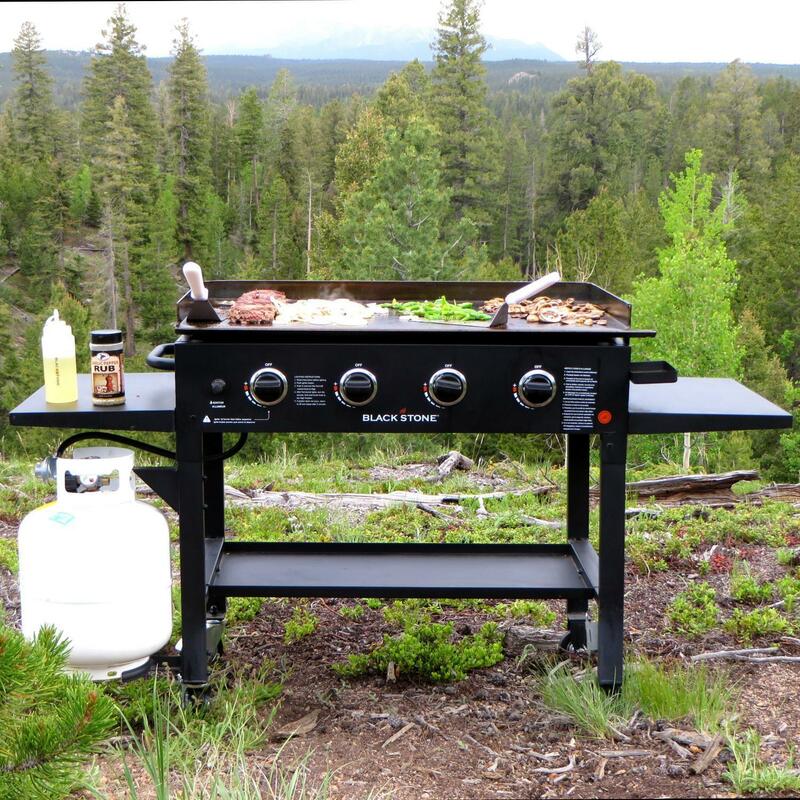 Easy assembly, handy fold-and-go design, and an battery powered electronic ignition make this griddle the perfect solution for any outdoor cooking event. 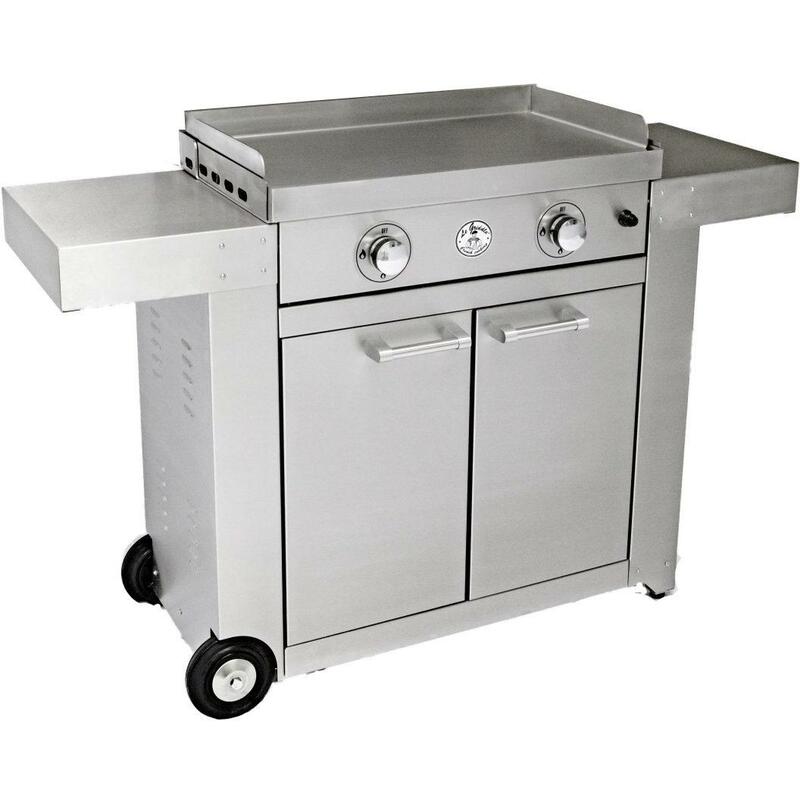 Four independently controlled stainless steel tube burners have variable heat settings that range from low to high and are controlled by four knobs on the front of the griddle station. 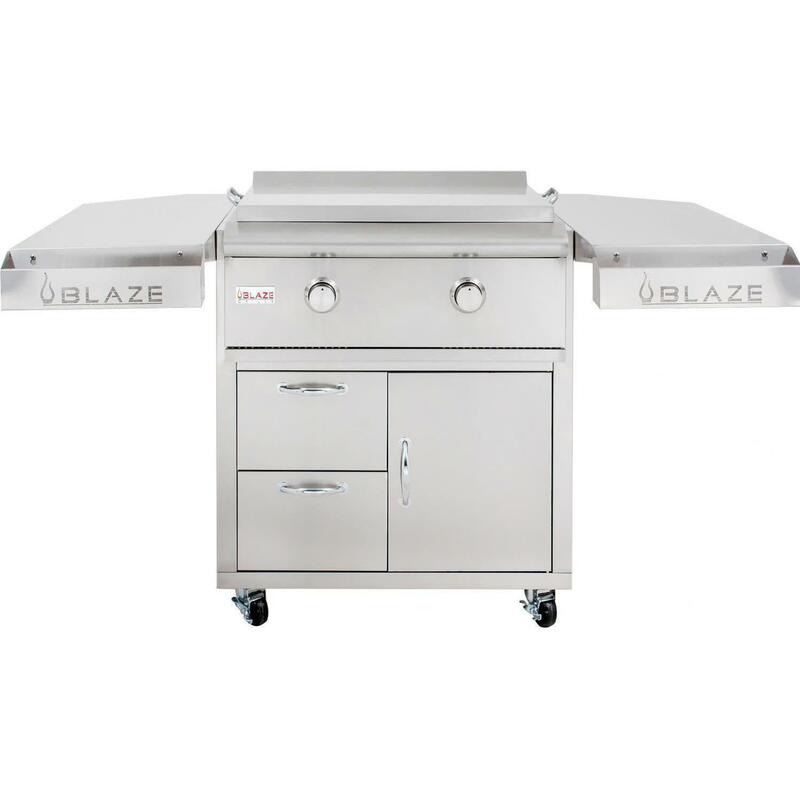 Each propane burner pushes out 15,000 BTUs of heat, for a total of 60,000 BTUs. 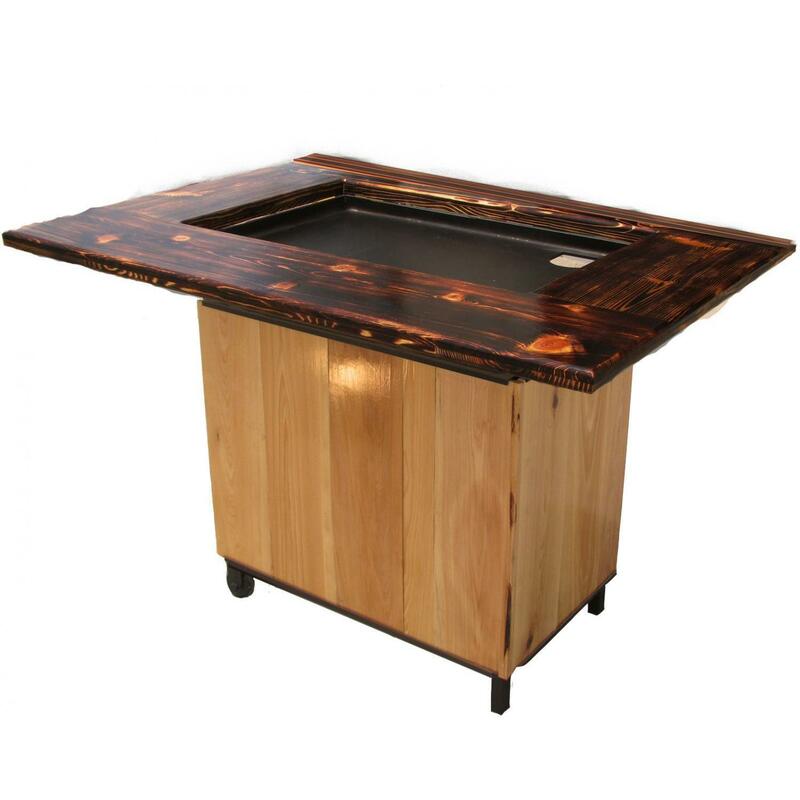 The large 756 square inch cooking surface is made from thick, cold rolled steel for quick heating and excellent heat distribution. 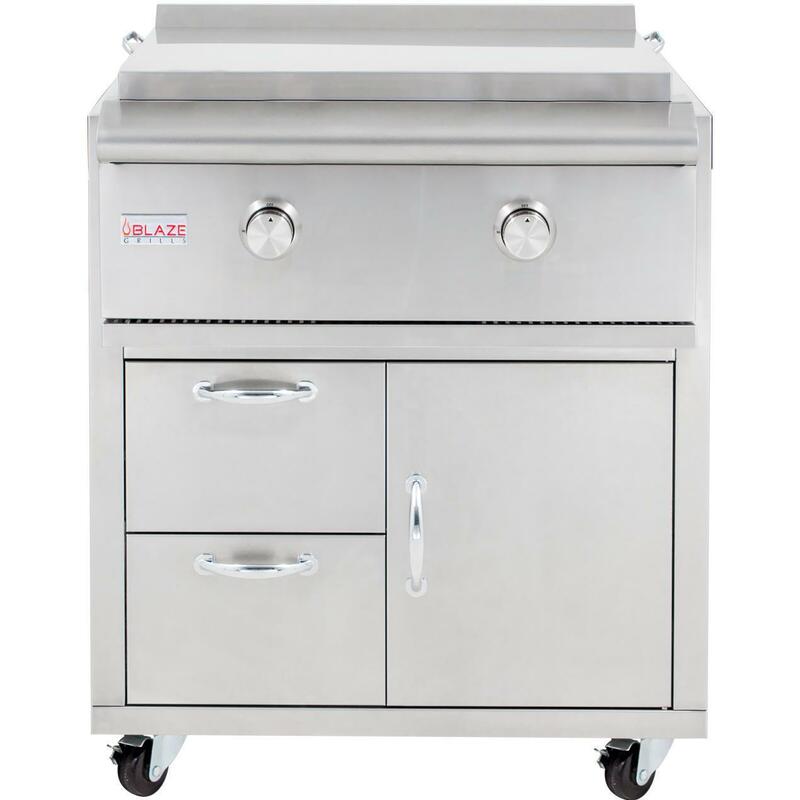 The cooking surface is slightly slanted forward so that drippings can flow into the V-shaped grease tray and then into the removable drip pan. There are two removable, reinforced side shelves that give you extra space for tools while cooking. 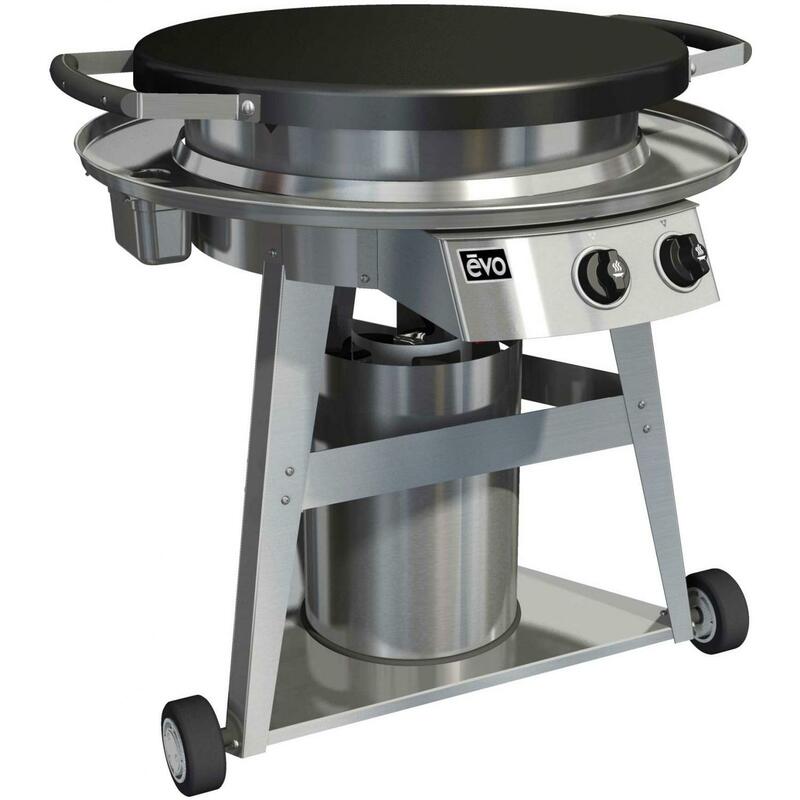 This griddle also features four industrial strength caster wheels (two of which are lockable) and a sturdy steel powder coated frame to ensure longevity and durability for many years of use. 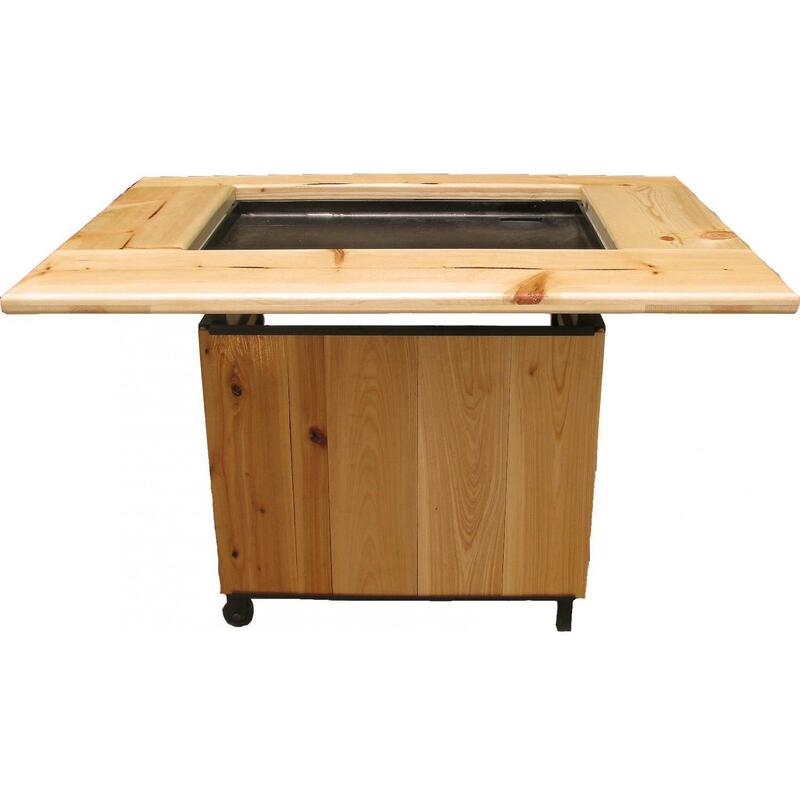 On the sides and behind the cooking surface are 2-inch splash guards to help keep food on the griddle. Includes a hose and regulator for 20-pound propane tank connection (tank not included).